After serving the West Indies cricket team for more than one year, Stuart Law stepped down as the head coach of the squad. Making the announcement, Law said that he is making a "tough" decision while stating that it was an enjoyable journey with the team. 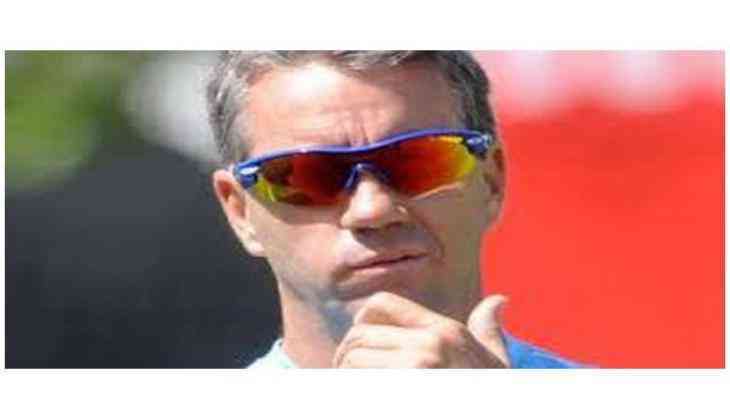 "I have had to make the difficult decision to leave my role of head coach with Cricket West Indies (CWI). It has been very enjoyable, and I believe we have made tremendous strides forward as a team during the past two years," ESPNcricinfo.com quoted Law, as saying. Reflecting on his future plans, the former Australian cricketer said that he is joining Middlesex County Cricket Club that will keep him close to his family. "I will be taking a role with Middlesex which will keep me close to my family, whilst continuing within the cricket family. I wish the players and staff of CWI every success in the future," he said. Expressing his views on Law's decision, CWI chief executive, Johnny Grave said that he is disappointed with the development, adding, the team made a significant development in his regime. He further stated that the board would start the process to appoint a new head coach. "I am disappointed that Stuart is leaving as I believe that we have made real progress under his leadership. I know it was a difficult decision for him and that ultimately the opportunity to work in England, where his family is now based, was a major factor in his decision," Grave said. "We will start the process to appoint a new head coach immediately," he added. Under Stuart Law, West Indies won a total of six Tests out of 15. The team also secured a series win over Zimbabwe and Bangladesh under his guidance.